Let us take care of your first payment. Want an up-close look at the new Mercedes-Benz models that are available? 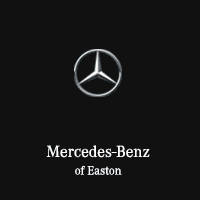 Need help finding the best Mercedes-Benz lease deals or financing a luxury car in Columbus? Then there’s only one place to be: our Mercedes-Benz dealership. With a wide range of vehicles in our inventory, from the latest sedans and SUVs to affordable certified pre-owned Mercedes-Benz cars, you’ll never have trouble spotting the perfect ride. Contact our Mercedes-Benz sales team today at (614) 291-2007 or stop by our Columbus dealership at 4300 Morse Crossing to take a test drive. We are conveniently located to best serve drivers in Columbus, Dublin, and Westerville, OH, and our salespeople would be thrilled to introduce you to our lineup of the most refined vehicles on the market. *Offer valid for select vehicles contracted between May 25 – May 31, 2018. This first payment offer is only valid for a 2017/2018 CLA up to $700, a 2017/2018 GLA up to $700, a 2017/2018 C-Class up to $750, a 2017/2018 E-Class up to $900, or a 2017/2018 GLC SUV (excludes the GLC Coupe) up to $750. Offer only valid for retail or leased vehicles financed through Mercedes-Benz Financial Services. Subject to credit approval. Please see your local authorized Mercedes- Benz dealer for full program details. **Qualified customers only. Not everyone will qualify. Excludes leases and balloon contracts. Minimum finance term applies. Available only at participating authorized Mercedes-Benz dealers through Mercedes-Benz Financial Services (“MBFS”). Subject to credit approval by MBFS.